Appraisers often say that appraising new homes is simple because with new construction, the condition of the property is a given. Additionally, if a large builder builds the home, there are often sales of other very similar properties available for comparison. It may be true that appraising new homes is sometimes less involved, but appraisers should be cautious and follow these five tips when doing so. 1. Include comparables from more than one seller. In a new subdivision, it is often possible to have all comparable home sales come from within the development. However, if all of the comparables were sold by one builder, it is difficult to come to a market value. This is because a market is made of many buyers and sellers. Using comparables from just one seller merely shows the price that one seller is able to garner. Home sales by one seller do not provide a most probable value that a typical seller would be most likely to achieve. For example, a builder who needs to move home inventory might be willing to sell below market value. Conversely, a builder who enjoys strong incentives for buyers or who has time to wait might be able to receive a sales price that is above market value. To improve the credibility of the appraisal value opinion, an appraiser should consider including at least one superior and one inferior comparable sale from outside the development, and which are sold by a different party. 2. Use this as an opportunity to obtain real cost data. On some new construction, particularly custom builds on private land, it may be possible to obtain the actual construction cost. These costs are a helpful check of the cost approach and can be useful on other appraisal assignments. 3. Understand that there are limited government resources. Appraisers often rely on government data to verify information about a property and to obtain figures like taxes or living area. However, when the home is new, county assessment information may not yet be available for reference, and taxes may need to be estimated. 4. Avoid map searches when looking for comparable homes. In the Portland, Oregon market and other areas, new construction properties do not always show up on map searches in comparable databases. This is because the properties are linked to the map thru the tax information or street address that might not yet exist on the map. Overreliance on map searches can lead the appraiser to miss strong comparables. If you find this information interesting or useful, please subscribe to my blog. Also, please support us by making Portland real estate appraisal related comments on our blogs and YouTube videos. 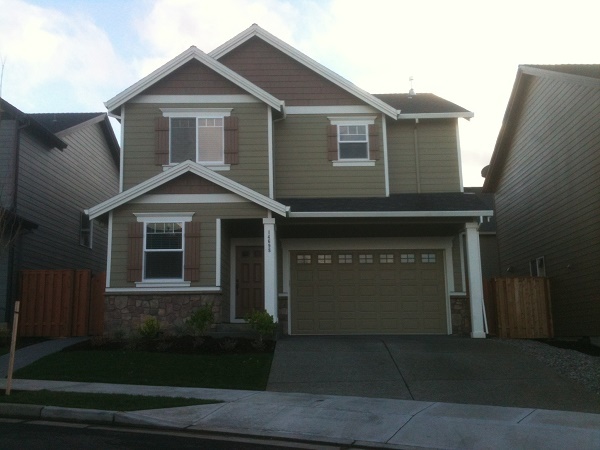 If you need Portland, OR area residential real estate appraisal services for any reason, please contact us. We will do everything possible to assist you. Great tips. There is a lot of information you can get from builders that is very useful. Your the man!